One of many sweet armies being played on the day. On the morning of Saturday 30th August 2013, in a small market town in the Midlands, only really known as the home town of Ricky from Eastenders, an epic operation of military might took place. Little would the workers at Orbital Tyres know, that the unassuming Scout hut behind their workshop would be the beginning of the end of World War II… in 28mm. Run by the Phoenix Gaming Club in Rushden, Northamptonshire, Operation Overlord was a 1 day Bolt Action tournament, with 2 games at 1000 points and a 3rd game at 750 points. The rules pack can be found half way down this page on the Phoenix forum. 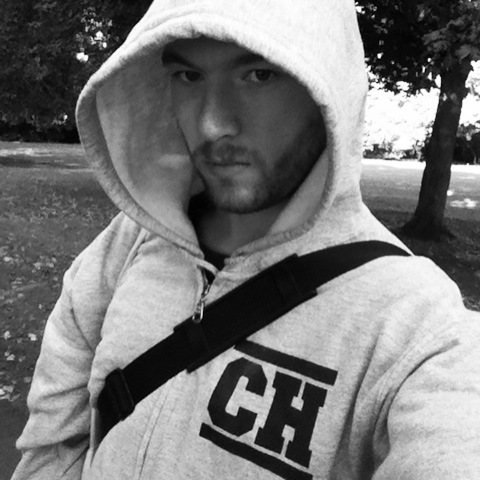 A young man with fire and determination in his eyes before the tournament… Also with a cool Corehammer hoodie. I remember doing karate in this scout hut on a Friday night as a kid, but in the 18 years or so since then, it’s had a lot of work done on it. As a tournament venue, I was more than happy. 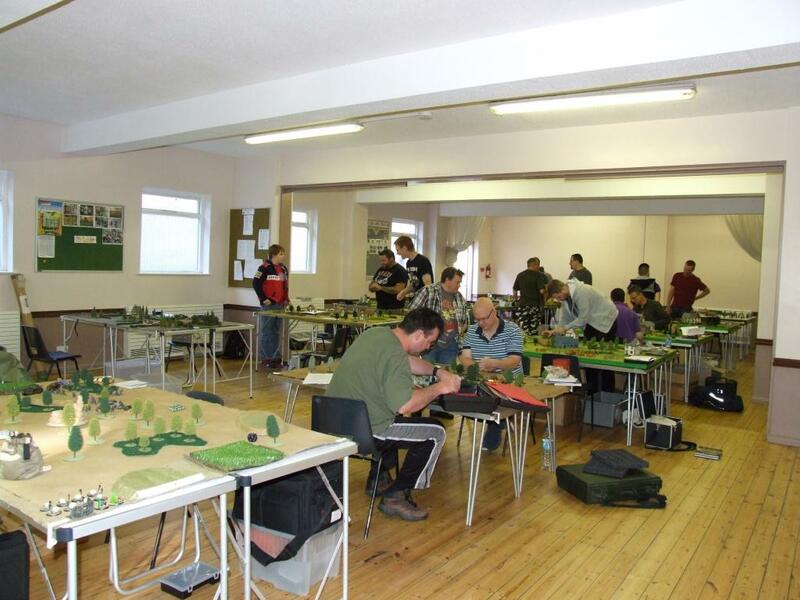 Loads of room around the tables and natural light in abundance, something that your average games cave does not have, a refreshing change. Top work by the Phoenix lads for obtaining this venue for their weekly club activity. Remember kids, Scout huts are not just for early 2000 punk shows in Southern England, they are also great for hiding wargamers away from their family on a Saturday instead of doing “the big shop”. The venue at the start of Game 1. Photo courtesy of Phoenix Gaming Club. The venue also boasted a “tuck shop” run by one of the locals sons. Even though the venue was in the town centre, it was nice that I could supply myself with snacks I will later regret eating while at the gym, convenience is king! A small thing, but just something that made the experience a little better. I never got to play on this board, but everyone loves a snow board! Looking around the room at the tables, there was a broad range of landscapes and themes. 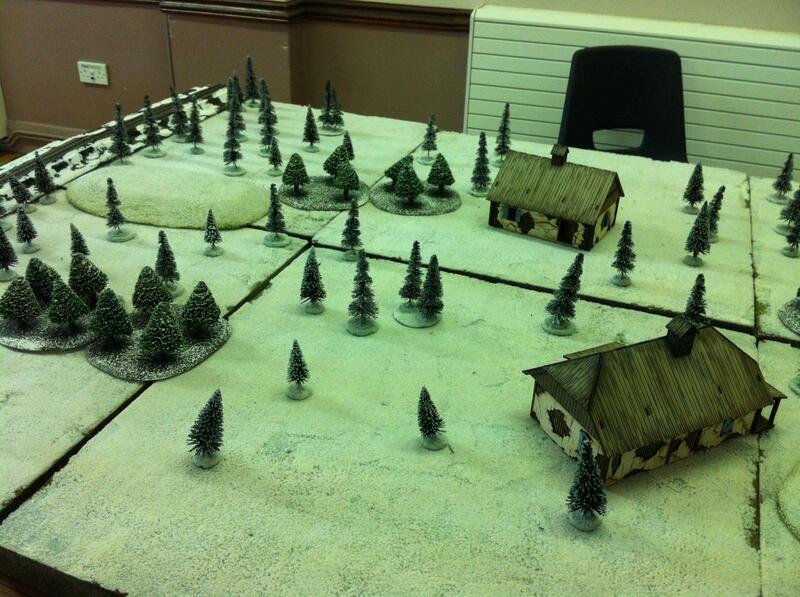 Possibly my favourite was the winter board complete with railway line for that authentic Soviet wasteland feel. 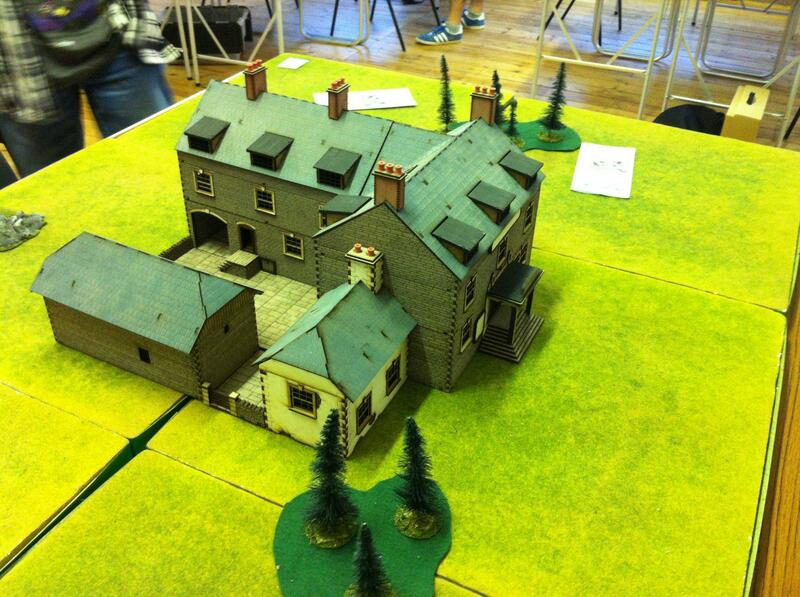 A lot of the boards boasted buildings supplied by 4Ground including one very large building in several parts used to make a giant farmhouse (see game 2 pictures below). You get new toys, which is way better! I don’t think any day out could be complete without the temptation of new models and that was supplied by Timeline Miniatures. Some how I managed to restrain myself from picking up a M10 Tank Destroyer and later a new boxset of the new plastic Blitzkrieg Germans. Resin craters will American GI for scale. I did treat myself to some of their own Bolt Action templates and some resin explosions craters for the modest price of £2.50 each. 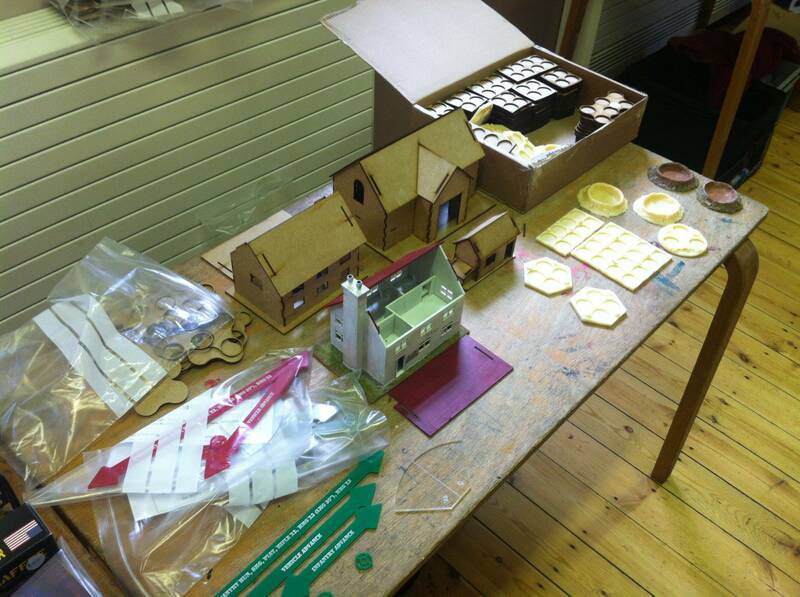 It’s worth noting that Timeline stock resin and wooden movement trays as well as laser cut buildings. From the couple of chats I had with them, they seem like top lads too. This was pretty much a straight up maximum attrition game (just kill each other) against Pete’s Africa Korps, but with different victory points for different units, as a bonus, you got to select one enemy unit which would be worth double victory points. As my victim, I selected the AA Halftrack, it was worth a a good amount of points and would be fairly easy to kill with my somewhat anti-tank list and Pete picking my 7 man regular unit. Manoeuvring the Greyhound. 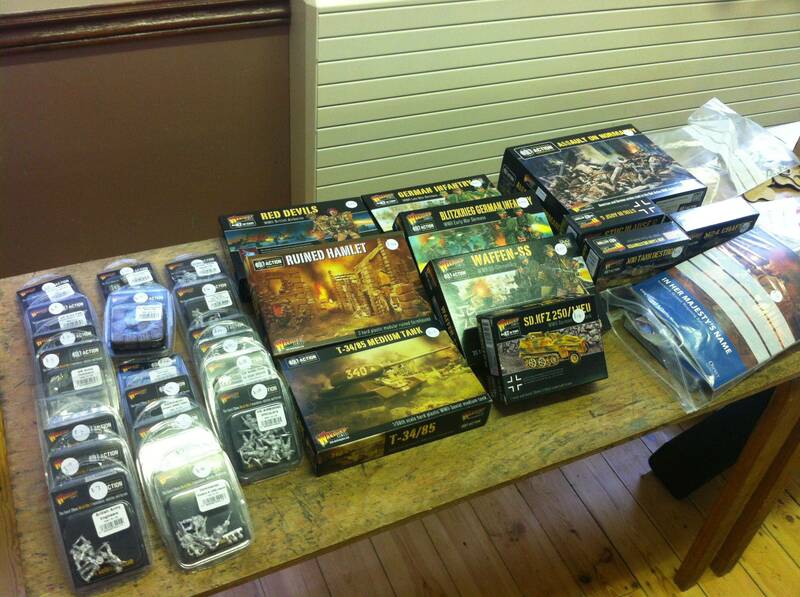 Picture courtesy of Phoenix Gaming Club. 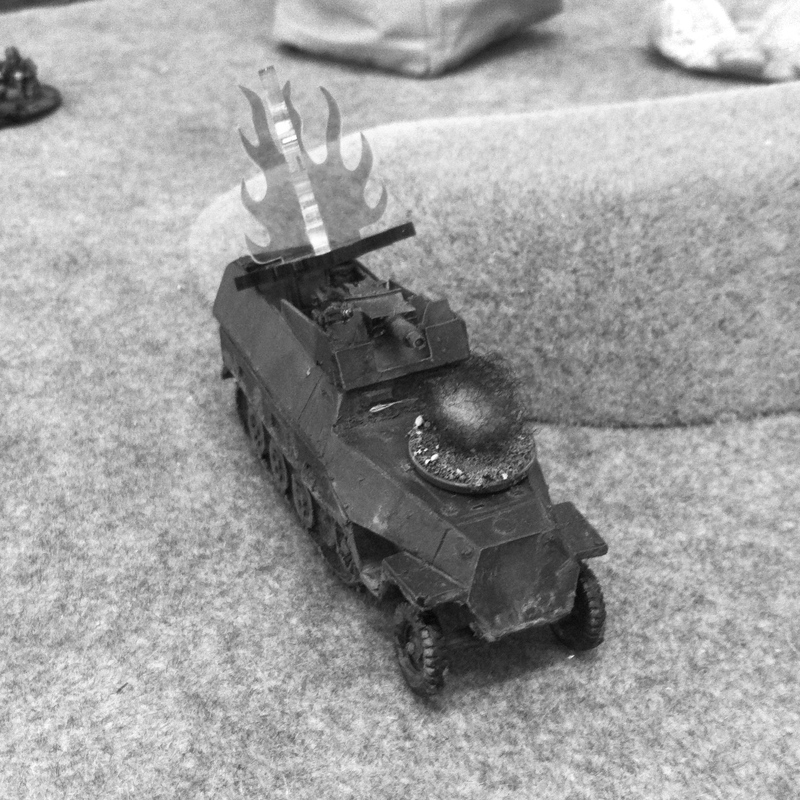 Well the game started off pretty poorly with the AA Halftrack pretty much hosing my 7 man squad off the board, lucky for me my M8 Greyhound Armoured Car straight off the bat killed the AA Halftrack and then systematically ruined the Korp’s day… until it got a little too close for comfort and was assaulted and destroyed by a veteran infantry squad on the same turn, the German heavy mortar dropped it’s shell on my large unit on the flank, killing 7 out of 10 men. In the mean time my left flank was overrun by 3 squads including a pioneer squad which introduced me to my first flamethrower experience… It was not nice. I managed to kill off the support squads (AA Halftrack, fixed AA gun, heavy mortar and machine gun nest, I just could not kill any infantry units. 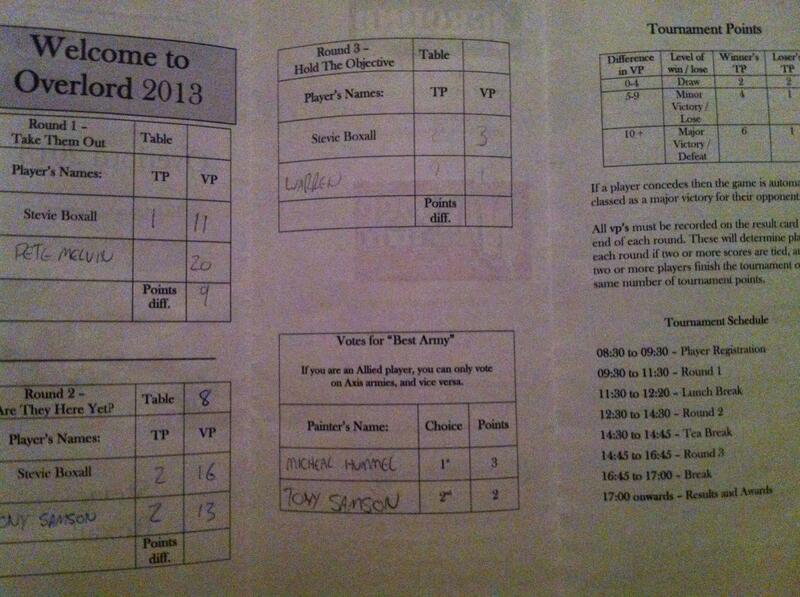 I just managed to keep the Victory points within the scale of a minor loss, 11-20 to Pete. 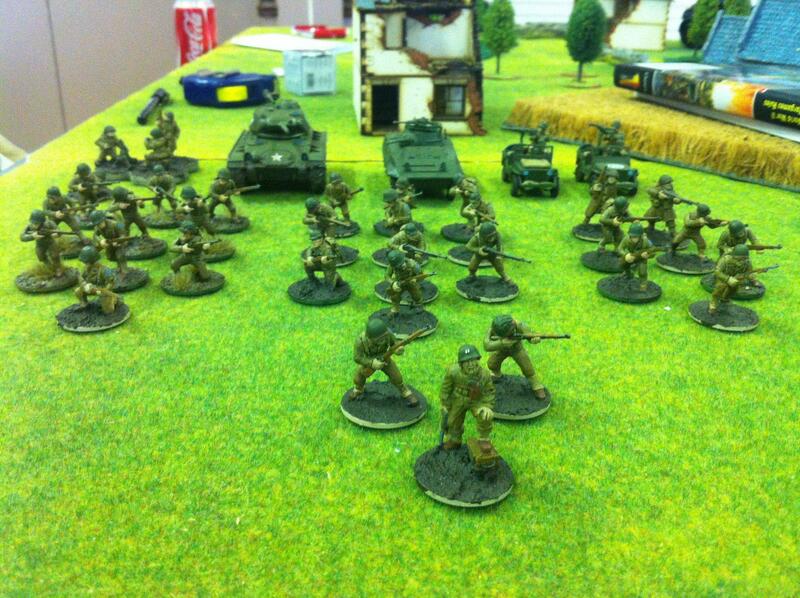 The US Army being overrun by the Africa Korps while the Chaffee stays defiant to the end in the copse of trees in the centre. After the first round of play it was time to pick the best painted armies, with Allied Players picking their top 2 Axis players and vica versa. There was definitely some great armies on display and I felt the shameful as I had rushed my army and barely managed to get the bases painted in time. Picking my top 2 was rather difficult but in the end I was happy with my choice. I managed to take some pictures, so I’ll post some of the photos up in the future. Round 2 was again another variation of maximum attrition where you could select up to 3 units to come on as reserves with a modified rule, rolling a 4 to get them on turn 2 and then getting easier until you had to roll a 2 rather than an order test to get on the board. The other difference was that you came on a random board edge. A beast of a building by 4ground. This board was pretty light on cover, just having a few woodland areas and a giant manor house in the centre of the board. Tony decided he would just deploy everything on the board and I went for sticking one unit in reserve. 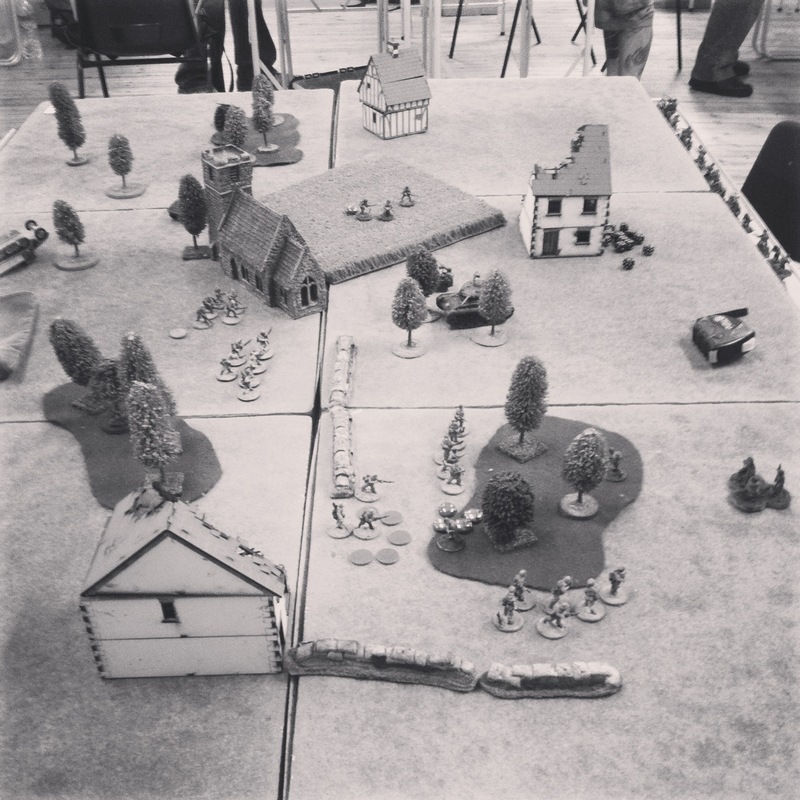 Tony spread his forces out along his back line (including a giant Pak 40 howitzer, a medium howitzer and a Hanomag… with a howitzer on it), commiting 50% of his force to each side, like a brave soul, I hid everything I could behind the giant house. Well this game did not go well from the start, turn one my Chaffee was destroyed by the Pak 40 after I placed a jeep too close, blocking the Chaffee’s recce escape route. The pain did not stop as my regular unit was hosed by German bikes with sidecars (packing medium machine guns), then they barely survived a flamethrower attack from a team jumping out of the Hanomag. My jeeps were equally unlucky, getting killed by a sniper (needing a 6 to kill, he did this 2 turns in a row!). Well things were not going well, so decided that I would try and kill as much stuff as possible and try to force a draw, running everything around one side, I threw my force at and successfully killed both sidecars and killed the squad coming around the side. The mortar on my backline woke up and killed the Pak 40 and it’s crew in one shot and the following turn decided it did not like the Hanomag causing it to catch on fire and it’s crew failed their leadership roll and abandoned it. Finally on turn 5 my reserved squad came on the board edge of my choice and I settled for them killing the remaining howitzer team, snatching a draw from the jaws of defeat, ending the game 16-13 to me. Warren told me at the start of the game he was a new player, which was fine by me, we could have a relaxed game to close out the day. 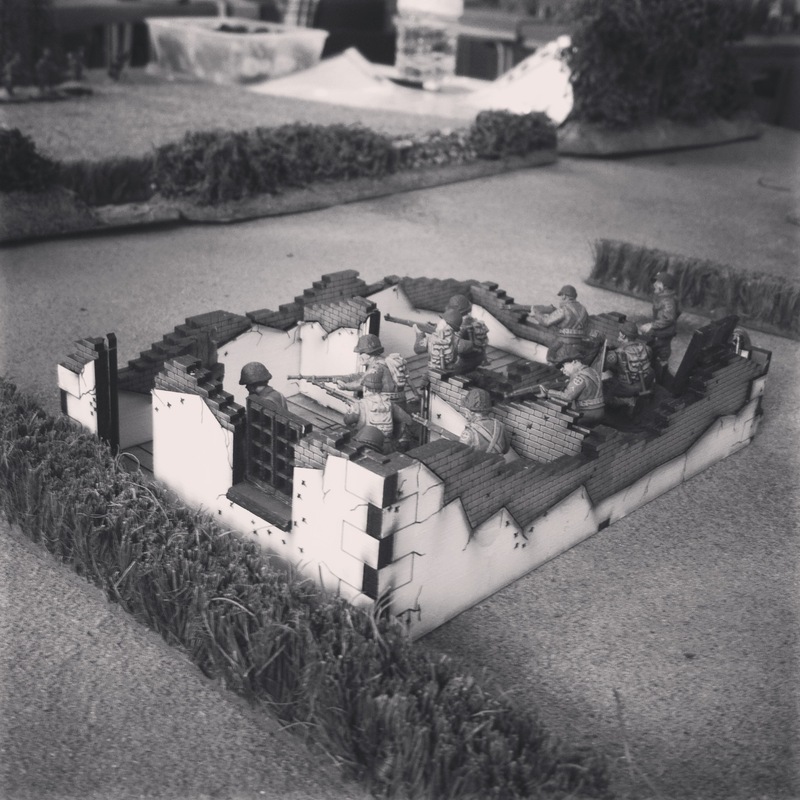 In the final round we were to use 750 point lists and as well as victory points being available for kills, we could also contend for capturing “bases” placed in the opposing players deployment zone. Unfortunately we had a table with plenty of hedges and such, which would have made getting to the bases pretty much impossible as neither of us had transports and once the pins started piling on, our men would be going no where. So these were ignored in favour of just shooting each other. I will keep this short as we only managed to have only 4 turns, of which Warren killed my mortar and I managed to kill his mortar and a squad of 5 men. Although it was a fun game with lots of shots hitting, we both fluffed nearly all dice roll to kill models. The game ended in a draw with the victory points being 3-1 to me. I’ll keep the best painted results for the painting post, but here are the results of the actual tournement. So were did I come? 8th, which considering I was unable to win a game, I’m pretty happy with. Overall, despite not playing at my best, I had a great day. All the players I faced were great lads and I had fun playing all 3 and would definitely play all 3 again. Despite going by myself to the event and knowing no one there, I had plenty of chats with friendly people, I got to play some tight and not so tight games and I had great fun. 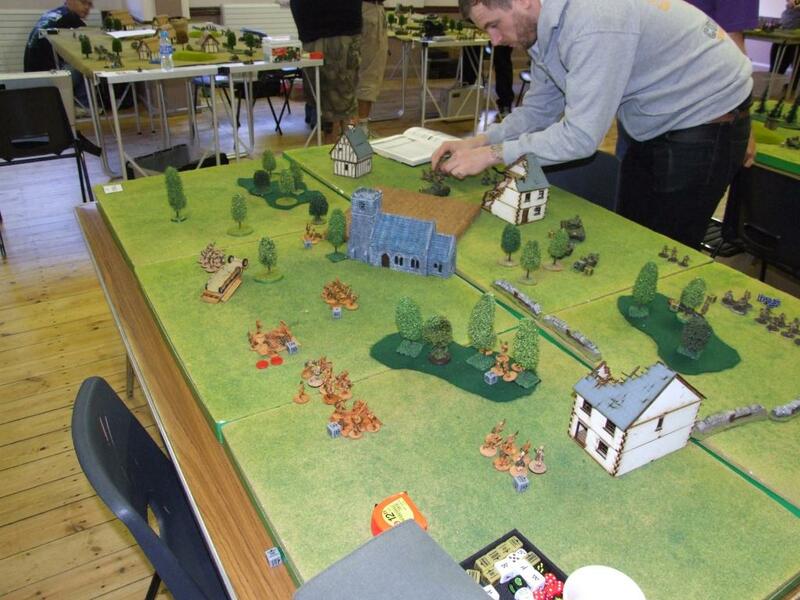 I can only recommend going to tournaments, you get to test your skills and luck against others, play lists you would not normally and having an excuse to play table top wargames all day is pretty much what this hobby is about. Sign me up for next year guys. I would like to thank Carl & Pete for a great day, I would definitely recommend getting in touch with Phoenix if you are in the Northampton area on a Tuesday evening, their website and forum has all the relevant info of how to get a game, cost and what is played (pretty much every system you can think of). 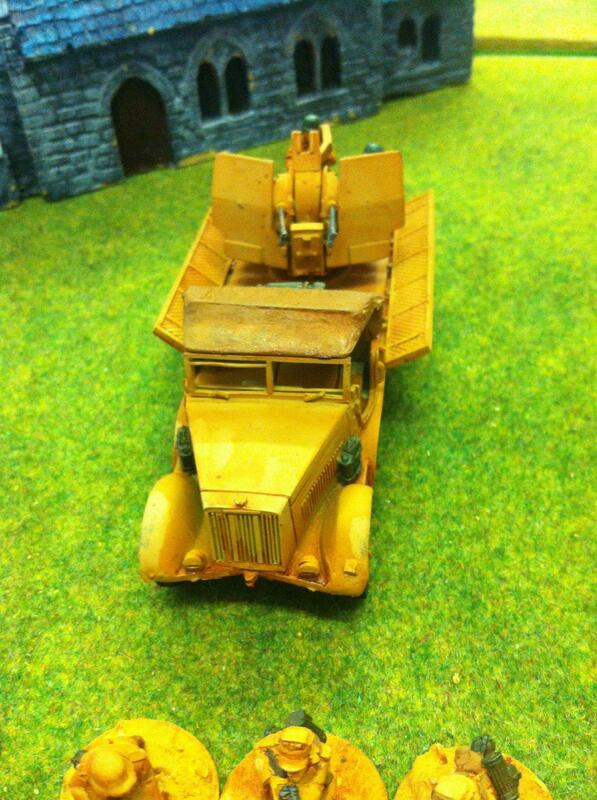 This entry was posted in Bolt Action, Gaming, Talk by Stevie. Bookmark the permalink. Tony had the jeep killing sniper team in one part of the building and I had a mortar spotting in another part. We treated different sections as separate floors. I just used it as a massive line of sight blocker for running away! I tried to put a mortar shell through the roof on the last turn, it hit the mark but failed to go through the roof. Cheers Stevie, great report. I had three great games as well and I thought you had it in the bag that first game but that fella with the 7 pins and my mortar crew that got their eye in at the last minute pulled it back for me. Hope to see you again soon. Just could not finish the git off. The mortar shot was the beginning of the end, it made me over commit the Greyhound and that was it. Still a fun game and I’ll be getting some AA in the near future! 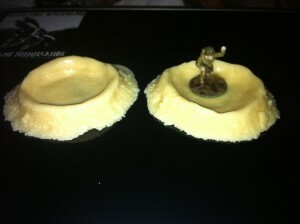 Nice reports Stevie, thought your army looked great, sorry didnt get a chance to play it or chat with yourself. Thanks Brian, I managed to pick up some more basing supplies yeaterday so I can get all of the bases up to a standard I am really happy with. I ended up having to just settle for getting paint on them for the tourney. Almost a shame it was not a 2 dayer so I could have chatted and played more people, definitely a great experience hearing people’s list thoughts, I thought my army was neat completion… It’s not. Yeah great report here on the tournament. Pity about all those hedges and pins n our game – nice and relaxed game as you said! Still I learned a lot for my first tournament and hopefully will go for others when I feel a bit more confident. 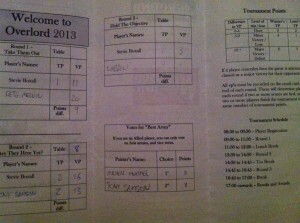 The Phoenix also has a WAB singles and a WFB doubles tournament. You said you played WFB so maybe look us up around March 2014 if you can get a partner. Cheers again for a great game, definitely need a transport option! Yeah I’ve heard about the doubles on the Bad Dice podcast, I’m sure I can drag a friend or several up from London for that as well! Great BATREP, great day out with all you guys from Phoenix and Elsewhere, I am now looking forward to Derby and seeing some of the guys there too. Hi Ben, glad you liked it and I enjoyed our chat about the Dukk, I might have to invest in one and then several river sections to annoy regular rival Charlie. 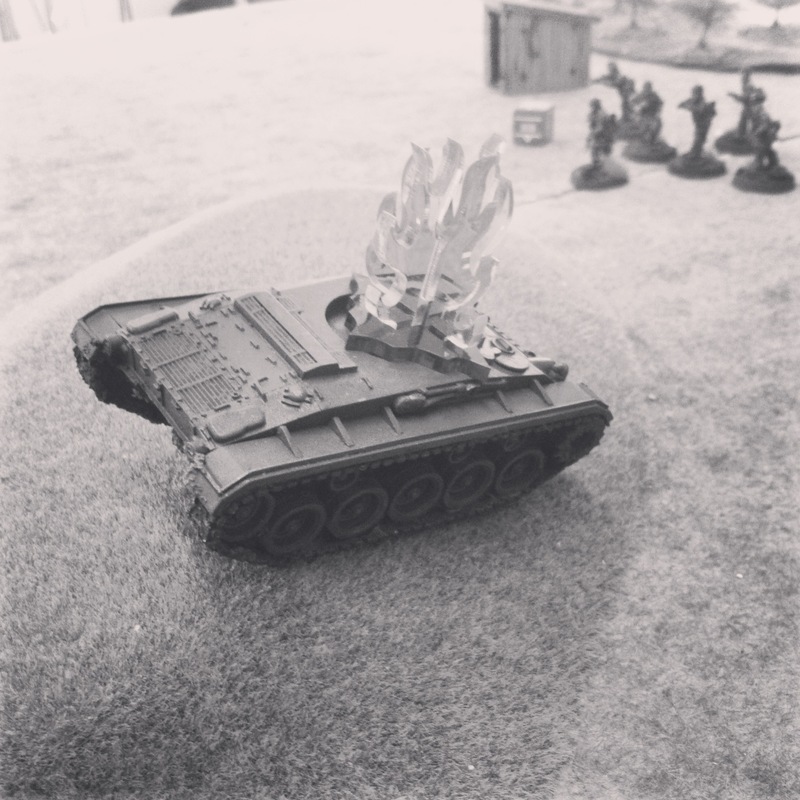 I regret that I missed out on getting a ticket for the Derby tournament, I am interested in taking the yanks to some more (once I have more flame throwers). Do you have any more details about the Bolt Action one you mentioned in Cambridge? Loving the Bolt Action posts! In fact, they’ve inspired me to finally take the plunge into table tops. Do it, the Normandy boxset is a great deal, especially if you split it with a friend. 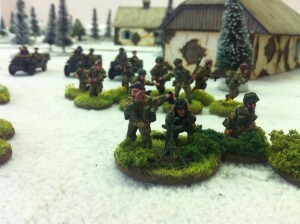 The new Pegasus Bridge boxset is amazing but a lot of cash for a new player to drop in one go.